Learn how to take your interest in User Experience to the next level with our UX Certification. Designing results-oriented User Interfaces with a high degree of usability. Conducting all core aspects of User Experience. Learn the ropes and avoid mistakes. Planning, organizing and executing: Field Studies and Usability Tests for user needs analysis and interface feedback. This includes all aspects of ‘rapid ethnography’ from recruiting to moderating interviews, capturing data, creating personas, reporting on field studies and usability tests. Leverage UX Trainer Frank Spillers 18 years of corporate experience across industries like Healthcare, Financial Services, Banking, Consumer, Technology, Ecommerce and Education. How to do a Rapid Ethnography Create role-based design Personas. Understand and powerfully use Role-based personas. Generate your own research from set-up to moderation and reporting. Master contextual user interviewing, data analysis and artifact gathering. Develop an Outside-In approach to gathering user needs, desires, tasks and goals. Learn to present field research powerfully. Results and Quantitative vs Qualitative data. Approach UX design strategy elegantly with Task-oriented Design. Designing with and for personas, conceptual models and persuasion. Learn how to apply the 10 key Google Material Design principles to your design. UI Design Rules and how to apply them (or break them). Learn the 16 Interaction Design Techniques. Discover 16 User Interface Rules. Usability Testing: How to conduct Rapid User Tests. Create usability testing as a regular design tool: set-up, recruit, moderate and report on your user tests. Learn to flexibly conduct a Remote, Unmoderated or Lab based test. Rigor in testing, key issues and concepts. Analyze and present data for better design decisions. Learn logistic shortcuts for rapid Agile/Lean testing. Emotion design research -validate your design's emotional value. Pre-requisites: None Typical audience: UX analyst, UX designer, Product Manager, Front-end Developer, User Researcher, BA, Designer. Note: This training is based on learning the real-world skills, with the intended use in real-world business contexts. 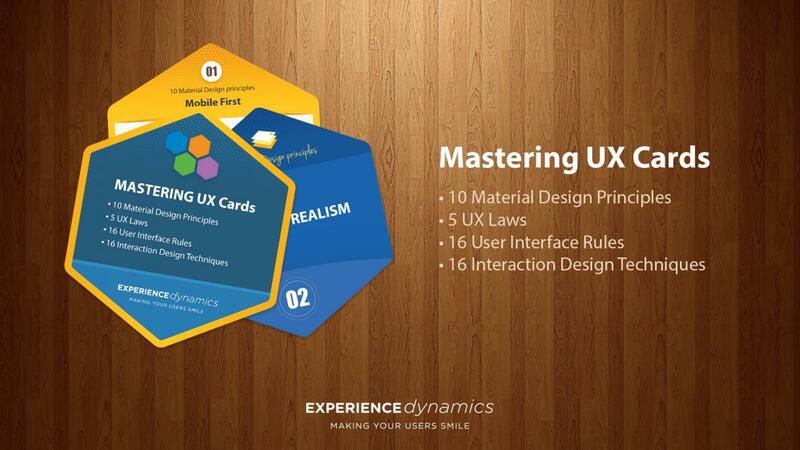 Follow-up learning: UX Master Practitioner training (from Experience Dynamics, with dates to be announced in 2017). Experience Dynamics provides User Experience Practitioner and Master Practitioner Certification based on our immersive instruction model, called Applied Learning. The UX Certification experience has 3 levels of learning and 3 levels of rigor we use to evaluate how well students acquire and assimilate skills. 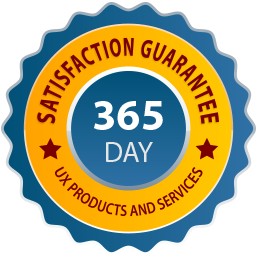 Experience Dynamics UX certifications are modeled on our successful UX engagements with Fortune 500 companies globally. True to User Centered Design, we created our certification based on student-centered (user centered) learning. The certification, unlike other popular certifications in the industry that are based on theoretical or "best practice" concepts, is aimed at giving you practical expertise in User Experience research and User Centered Design skills.